There’s not much as repugnant and as unacceptable in today’s democracies and freedoms than when an official or employee of a non-government organisation or a government official takes the liberty of seeking that an another country’s government dismisses one of its government ministers, elected into the parliament of his/her country by the people. Well, I thought I had heard it all that was inappropriate, distasteful and simply wrong that could come out of the mouth of that politically odious, meddling Israel Based person called Efraim Zuroff. But obviously I thought wrong. Having probably by now, justly and rightfully, caught all the WWII war criminals considered and/or proven to have committed crimes against the Jewish people, Holocaust, Zuroff perhaps has a lot of time on his hands and enters into meddling in other countries’ governments in his efforts to stall and obstruct justice against communist crimes and criminals. The Israel-based Simon Wiesenthal Center urged Croatia’s government on Friday 5 February 2016 to dismiss its culture minister, saying he took a disdainful attitude towards Croatian resistance to fascism during World War Two, reports The Jerusalem Post. What the Croatian minister Zlatko Hasanbegovic is doing in this “field” is working towards justice for the hundreds of thousands of innocent Croats murdered or buried alive by the communist partisans during and after WWII! Of course his actions are noted and attract particular attention at this time because the issues of communist mass murders of innocent people were put back and neglected by the former Social Democrat, pro-communist government of Croatia and all those years Efraim Zuroff kept as quiet as a mouse – innocent victims of communist crimes are not worth the respect, it seems. Repulsive. The Jewish human rights group expressed “shock and indignation at several actions taken and comments made” by minister Zlatko Hasanbegovic. “We urge the Croatian government to replace Hasanbegovic with a person suitable for the post of minister of culture who will bring honour and prestige to the post, rather than embarrass his country before the entire world,” the director of Wiesenthal Center, Efraim Zuroff, said in a statement on its website, writes the Jerusalem Post. In a statement issued on Friday, Zuroff expressed the Simon Wiesenthal Center’s outrage over Hasanbegovic’s publication of the “notorious book about Holocaust commemoration by the universally-discredited American author Norman Finkelstein and his baseless and totally inaccurate comments regarding the history of Croatia during World War II and the Holocaust,” the Center reported. Zuroff goes even deeper in his attempts to salvage WWII and post-WWII communists many of whom were nothing more than cold-blooded murderers just like many fascists were. “Even worse in the Croatian context, is the minister’s blind refusal to recognize the genocidal nature of the Ustasha regime, and his disdain for the brave Croatian anti-fascists who fought against it. This absolutely baseless revision of the history of World War II and the Holocaust is totally outrageous and absolutely unacceptable,” he added. For your benefit Mr Zuroff, and for the benefit of those that appear as warped when it comes to the WWII and post-WWII complete truth – many of the “brave Croatian anti-fascists” of WWII were nothing more than communist thugs and mass murderers and the sooner you settle that truth into your head the better the world will be; or more peaceful, anyway. Minister Hasanbegovic does not nor has he denied the truth of the Holocaust but surely he has the right – as we all do – to help assert the truth and has a right of opinion and thought. Seems Zuroff might think only a select crowd has those rights (?). Revision of written WWII and Post-WWII history is essential for justice and truth – surely the future generations of a free world cannot thrive on lies and political deceptions we’ve had to choke on for decades! Of course, Efraim Zuroff is not the only one calling for Hasanbegovic’s dismissal as minister of culture. Zuroff appears to be the only one in the world that is not a voter in Croatia nor is he a citizen of it. Pro-communist groups in Croatia or simply some artists or online journalists, whose “secure” tenure had been guaranteed through government subsidies is in jeopardy due to Hasanbegovic’s measures to cut out state funding for some not-for-profit online media outlets, are also out in some streets and town squares, expressing their displeasure at Hasanbegovic’s courage to cut out the taxpayer funding for apparently superfluous entities and telling them to find alternative ways of doing business or finding money to operate rather than depending on taxpayers and his courage to fight for the rights of hundreds of thousands of innocent victims of communist crimes. As to cutting state funding for some nonprofitable entities I say good for you minister – people need to learn to stand on their own two feet, compete for survival in the business and other bread-winning world just like people in world democracies have been for centuries. Shrug off every single useless, dependency-feeding link to former Yugoslavia systems. Hasanbegovic and the new Croatian government rightly insist that WWII communist partisans were NOT anti-fascists as they supported the communist regime, which committed atrocities and mass murders against innocent people. Takozvani antifašisti = jugofašisti, četnici, partizani, mentalni komunisti su jedini fašisti u Hrvatskoj. #Hrvatska vapi za provedbom dosljedne lustracije! Translation of Blago Moreplovac comment: So called antifascists=Yugofascists, Chetniks, Partisans, mental communists are the only fascists in Croatia. Croatia yearns for the implementation of reliable lustration. It’s a true tragedy for humanity to know that Zuroff has friends in Croatia and elsewhere in the world where communism murdered innocent people. I sometimes fear that so much energy is needed for the terrible truth of communist crimes to come out fully and justice prevail that people may run out of energy to fight it. But God is great and He will provide. Yes Markings, it is tragic and it makes the road to justice for victims harder, sadly. Reality can be cruel but cruelty shall be overcome. I agree RobRob, Zuroff should be put in his place in no uncertain terms, he has no business in meddling in internal government of a foreign country. Zuroff should be at Croatia’s ministers side helping hunt and prosecute communist criminals and mass murderers – Zuroff has lots of experience in that it’s a shame he fails to use it to benefit all humanity, all justice – not pick and choose which victims deserve justice and which don’t. What an awful turn of events for justice. Go Hasanbegovic-go! Justice for innocent victims of communism depends on you not on people like Zuroff! 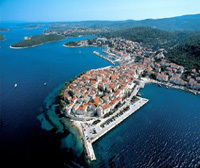 Just great stuff happening in Croatia right now – who gives a toss what that biased Zuroff says! 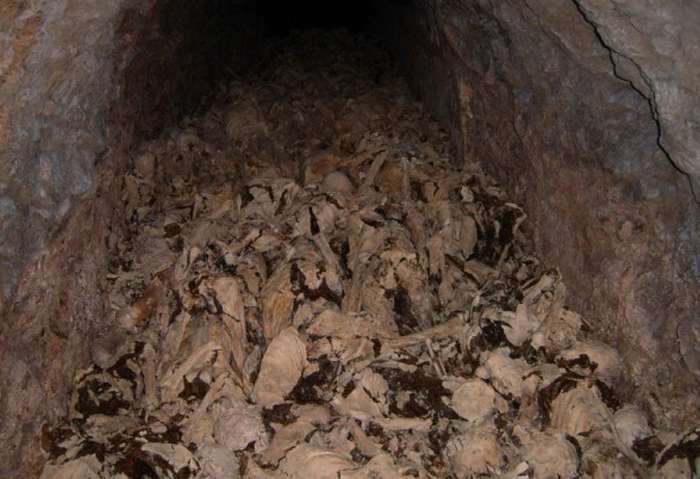 Both of my great Grandparents are resting in HUSINA JAMA (JESEN 1945)…. Both were shot and thrown into the Jama with another 150 Kupresaka…. I will never ever rest until I and many other victims of these communist crimes are held accountable. Rest in Peace my dears…. bunar je dubok i nema dna. Vaganjske staze meni su znane. baka nam od njeg’ priprema čaj. Zvonar ih vješto vodi u gaj. iz jame golub izlijeće žurno. sliježe se prašina pa vidim jasno. da bježim negdje,sad mi je kasno. Iskaču iz kamiona psujući jalno,uporito. U svakoga puška i na glavi zvijezda. i pretukli moga staroga djeda. Nastaje metež…Jauk se nebu uz klanac diže! što Bog im njihov u pomoć ne stiže. a jetki miris krvi osjetit može. Jakov Bilobrk i Šimun Samardžic,kupovali su u nas ovce. Vidim i onog koji puca…Znam ubojicu. Preostale onako ranjave bacaju dolje. Partizana je dosta i rade to žurno. Onom ne daju da troši metke više. Brzo se laća noža i jarosno kolje. Iz zadnjeg kamiona tjeraju djecu i žene. Po nošnji pripadaju Livanjskom kraju. Do same jame pogrde traju. Ne ostaje nitko,samo jedna švora,malo starija od mene. Trgaju joj šlajer s glave.Žele je ponizit kao ženu. Susrećem pretstravljen pogled i dječje zjene. Pohlepne ruke otimaju se za nju i raspinju na stijenu. i na tren prestaju da joj haljine svlače. trči do jame.Zastaje,krsti se…I uskače! a misli bolne streme u visine. Odlaze kamioni,spuštam se i grabim krunicu. Znam samo da moram stići kući. Majka me čeka na pragu,padam u vrućicu. Opet sam gore iza stijene i slušam vapaje umirućih. Više se ne bojim i silazim u jamu.Svi su živi.Sve ih vidim. I Jakov,i Šimun,i djeca,i švora…gledaju me prijekorno,optužujući. Pojavljuje se onaj s nožem,govori mi da se stidim. Sitne zmijske očice,motre me netremice. U ognjici sam tri dana,budim se ,nisam sama. kraj mene su moja baka i moja mama. i lice moje samo nemir budi. krunica na vratu stradanja znamen. Amen, Steve. Spirit and the will for justice and reining in accountability must not,shall not be dampened b the likes of Zuroff or Croatia’s foul loud communists. 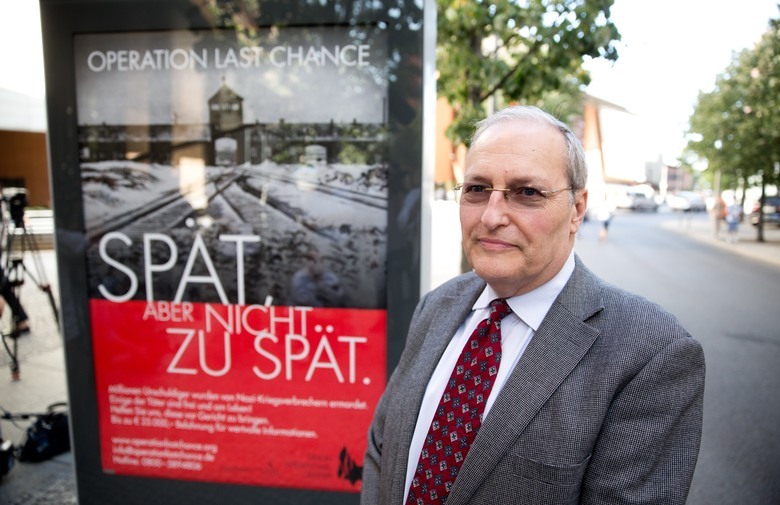 Agh, Zuroff is widely considered to be unfairly unbalanced when it comes to acknowledging Nazi crimes and Communist crimes – to him it seems every violent innocent death is not the same death…so just look the other way, chin up and get justice for victims of communist crimes – no political correctness or walking on eggshells thank you! Yes, have come across much of such unbalance myself, Bartholomew – pity we must keep repeating saying it and I guess it’s all worth the effort in the just end. 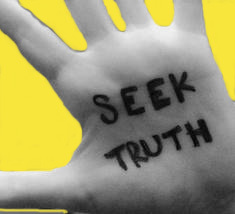 Why is it so hard for the truth to come out? A good start would be a ‘check the facts’ type website that Hasenbegovic and others could start that provides documented evidence, peer reviewed academic papers etc. It’s one small way to counter lies and propaganda. Shine light into darkness; like your blog. The behaviour and meddling of so-called Nazi-hunter, Efraim Zuroff is utterly appalling. Sadly, he has been taken by the decades old propaganda machine of Yugoslavia, the one that still churns out half-truths and lies. 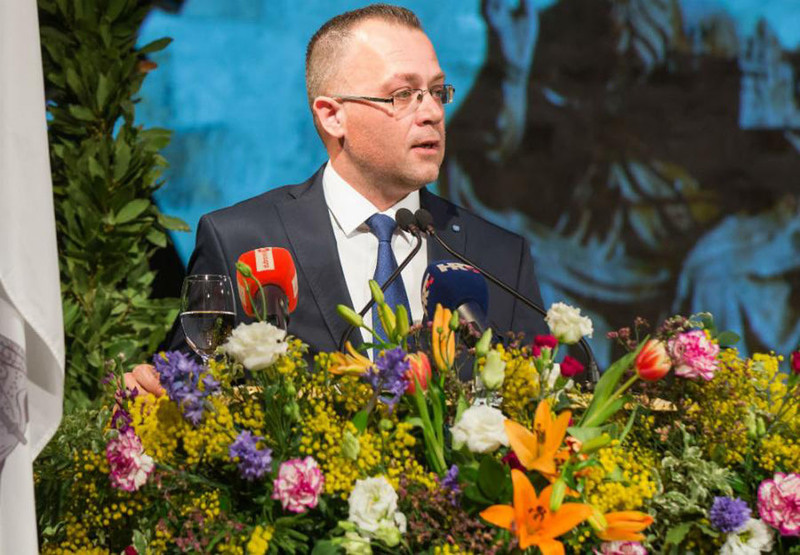 It is akin to us believing what the Soviets said about Ukraine, Hungary, the Czechs….I hope that Croatia will stand firm and support this legitimate historian and now Minister of Culture. The greatest irony in this fiasco is that Dr. Hasanbegovic’s PhD advisor was the greatest myth-maker, Yugoslav, and Tito-ist Slavko Goldstein. hmmmm. So if Goldstein saw it fit to give Dr. Hasanbegovic a PhD, what’s the problem? Information is power and once Croatia and her people at home and abroad learn the truth about what took place in the 20th century, there will finally be peace. You cannot have justice without truth. Yes, Mr Zuroff is well known to Croatians. We remember him for his role in the exposure, arrest, extradition and prosecution of Dinko Sakic which led to Sakic’s 20 year sentence to Lepoglava Prison and subsequent death in July, 2008. In recognition of his meritorious work, Zuroff was nominated in 2008 for the Nobel Peace Prize by then President of Serbia, Boris Tadic and the MPs of the Serbian Democratic Party and lest we forget, even the President of Croatia, Stjepan Mesic, showed his and presumably Croatia’s gratitude by honoring him with the Order of Prince Trpimir for “special contributions against historical revisionism and for reaffirming of antifascist foundations of the modern Republic of Croatia” in 2010. Now, he is voicing his objections to Mr. Hasanbegovic, publicly denouncing him as a fascist! If I were Mr. Hasanbegovic, I would be launching a lawsuit against him so fast his head would spin. Apparently Zuroff has no trouble finding Nazis and Fascists under every rock and bushel when it comes to defending the human rights and fighting for justice for Jewish victims, but he is deaf, dumb and blind when it comes to defending the human rights and fighting for justice for Croatian victims of Tito and his Partisans/Communists/Antifascists. Enough said! Very interesting how Mr. Zuroff will go to such lengths to protect Serbia’s political interests. One one hand he is fighting for justice for Jewish victims, but on the other he is denying justice to Jewish victims of the Serbian Nazi collaborators by continually toting Tito’s revisionist history. I wonder how he rationisalises his actions in his own mind. Add to that his further regurgitation of primitive greater Serbian fascist propaganda insinuating that Serbs surrounding Srebrenica were victims first – as if it was Bosniaks who killed and violently ethnically cleansed Bosniaks en masse in Bjeljina and Eastern Bosnia in MAY 1992, and as if artillery, mortar, and sniper rounds were not pouring on Srebrenica the duration of the seige (May 1992 – July 1995) until its betrayal by the UN. I’m sure, however, that Mr. Zuroff is a champion of the Rules of Land Warfare, Geneva Convention, and minimal civilian casualties in the West Bank and especially the Gaza Strip. Ina, I apologize for leaving more than 1 message.The first post did not go through and I sent it again once or twice. I forgot I had to subscribe first, which I have. Sorry for the inconvenience. It’s all fine Frank – given that I do not think it’s nice to promote garbage as that person you mentioned (thank you, the person claiming to be that person has written comments and most have been deleted as per this blog’s policy) who writes the atrocious blog of hate – moderating the extra ones was just good sense.